Umbria has the perfect climate for producing pretty much everything delicious. 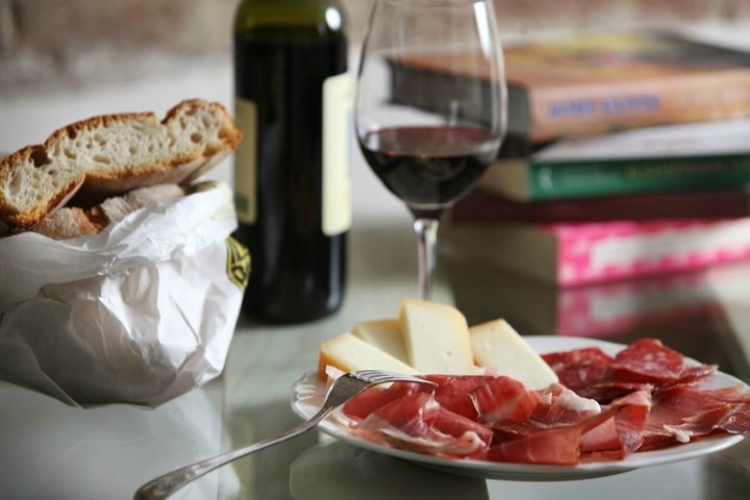 The wine is sun-drenched and fabulous and the olive oil deliciously sapid – and don’t even get us started on the cheeses and famous cured meats. 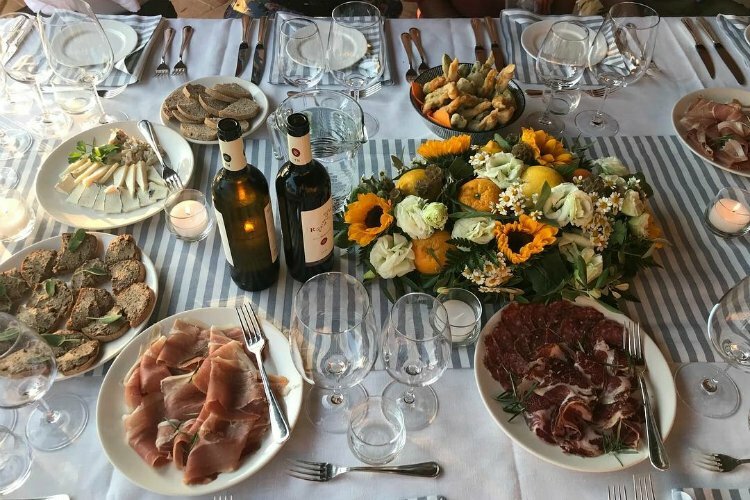 The many wonderful restaurants in Umbria range from Michelin-star fine dining to casual osterias, and there are also plenty of opportunities to sample splendid wines directly from the growers and learn to cook like a local. 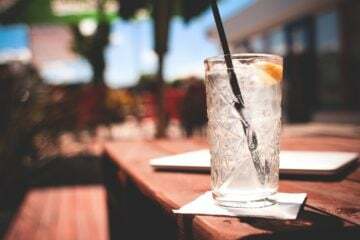 So whether you’d rather relax and enjoy a glass of wine on the terrace of your private Umbrian villa, or if you prefer venturing to a new foodie haven every day – you’ll be well catered for. 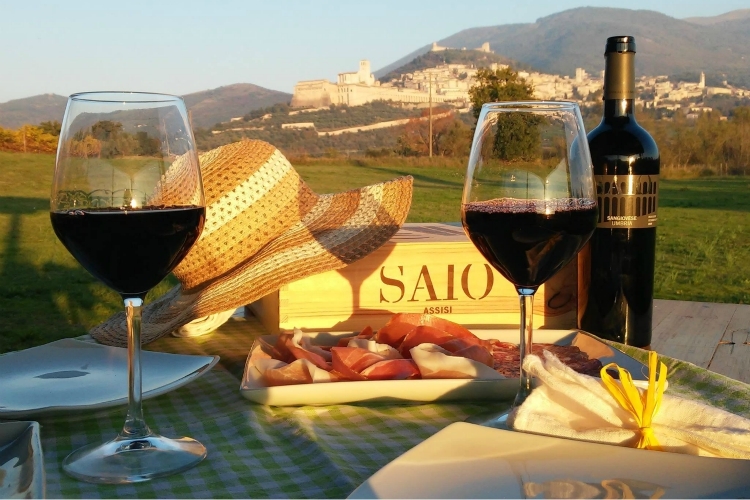 Few wineries can boast of such a fine location as SAIO Assisi. Row after row of curling green fruit-laden vines grow in the shadow of the basilica of Saint Francis in the ancient town of Assisi, which is perched high on a hilltop. It makes the most perfect of setting for a vineyard tour and a wine tasting, where you will get to savour SAIO’s acclaimed white and red wines. Soak up the vino with some locally produced savoury treats, such as salty Umbrian flatbread, extra virgin olive oil, salamis and cheeses. As its two Michelin stars indicate, Casa Vissani is no ordinary restaurant. Those lucky enough to get a reservation at chef Gianfranco Vissani’s acclaimed restaurant will dine on some of the most sumptuous and creative dishes made with the very finest locally-sourced ingredients. These are paired with the finest wines from an ever-evolving list. The dining room is comfortable and tasteful, and the service is impeccable. The taster menus are a delightful way to savour some of the chef’s very best work and to get an insight into the culinary pleasures of the region. Picture the scene: you’re sitting around the outdoor dining table of your classic Umbrian villa, the bougainvillaea climbing the walls and the sun setting after another warm day. Surrounded by friends or family, you dine on classic Italian fare, all cooked with local ingredients by an acclaimed chef. 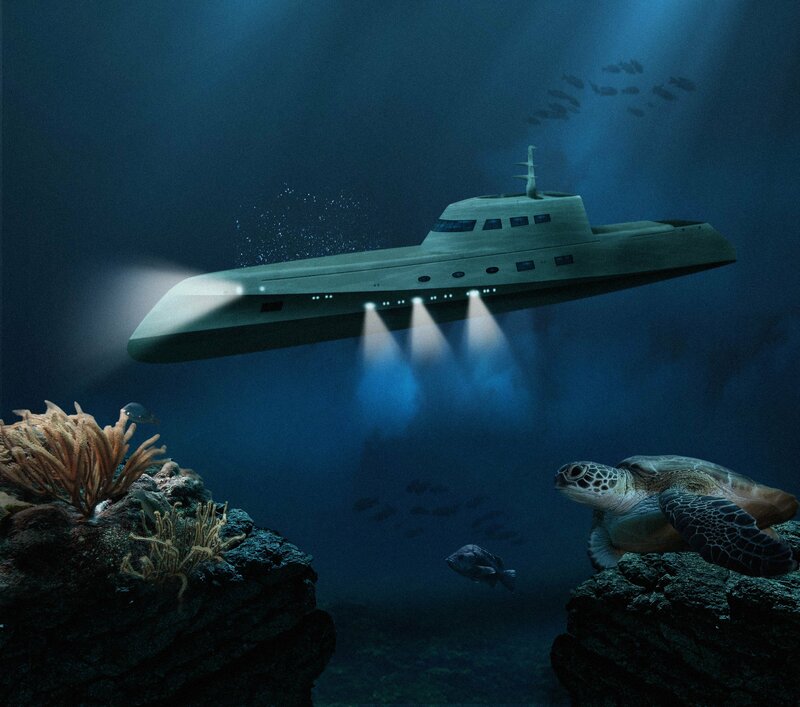 That dream could easily become reality with the help of Jennifer from ‘Life… Italian Style’, a private chef who will conjure up the most mouth-watering of meals and introduce you to the culinary delights of the region. 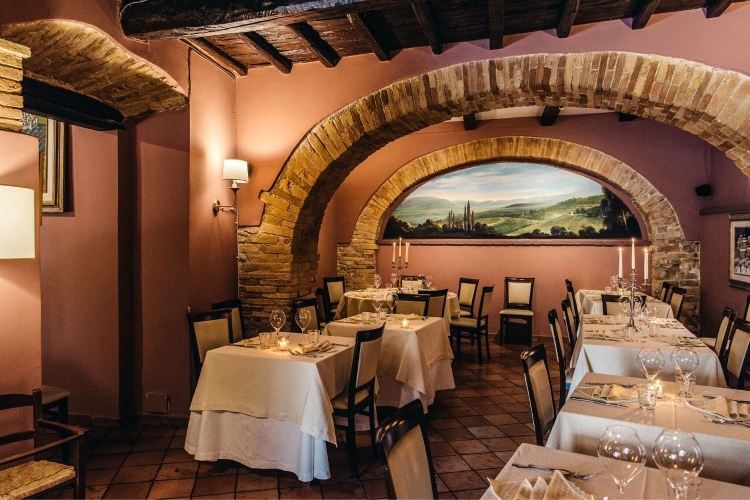 In the heart of historic Orvieto, a town perched precariously atop a rocky outcrop, hidden down an unassuming side street, you’ll find a restaurant steeped in tradition. For over a century, this little trattoria has been welcoming diners with open arms and an atmosphere of jovial familiarity. Hearty Umbrian dishes are served, the wine flows freely and the chatter and camaraderie is palpable. This is one place where modernity and trends are shunned in favour of decades-old simplicity and comfort. For one of the most relaxing meals imaginable, enjoy a leisurely dining experience on the spacious balcony of the Fiorfiore Restaurant (part of the Roccafiore Country Chic Resort). 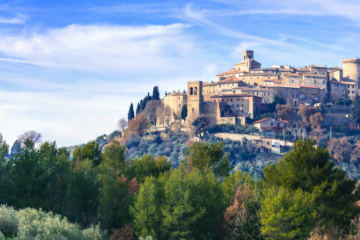 With scene-stealing views of vineyards and green pastures and the romantic hilltop town of Todi in the distance, it might be hard to turn your attention back to the plates in front of you. 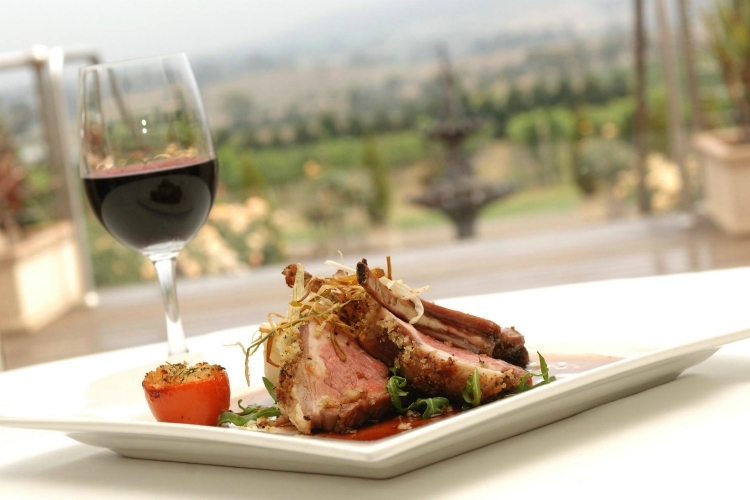 You’ll be dining on some of the region’s best ingredients that have been carefully crafted into gourmet dishes. Umbrian dishes with contemporary twists, such as zucchini flowers stuffed with ricotta and truffles, grace the menu. 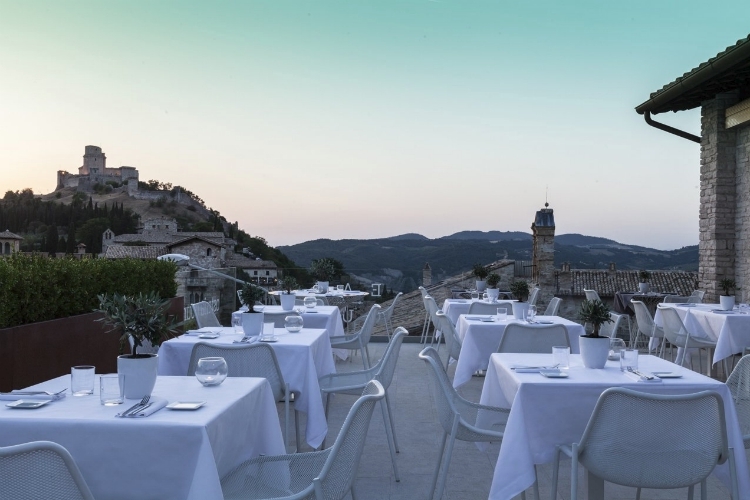 The rich, countryside flavours of rural Umbria come to life at Ristorante Coccorone, with a menu that features rabbit, pigeon, steak and quite a few of the region’s famous cured meats. Handmade pasta, divine cheeses and an impressive wine list are also on offer, and there is a wonderfully friendly, easy-going atmosphere. 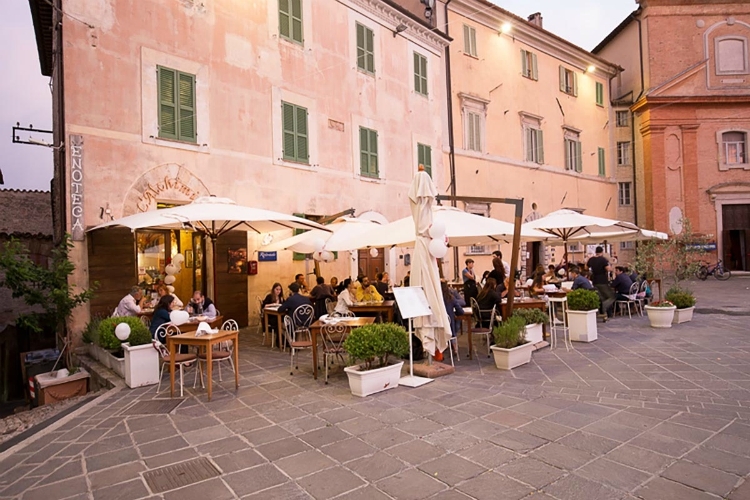 It is one of Montefalco’s best-loved restaurants and a firm favourite with the locals, so you can be sure of an authentic Umbrian dining experience. Spend a delightful day wine tasting at Cantine Giorgio Lungarotti just outside of the lovely town of Montefalco. 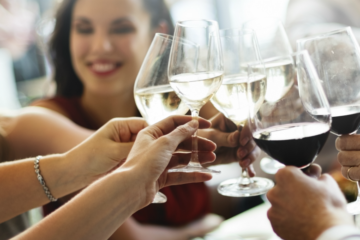 The tours are catered to everyone, whether you’re a wine novice or true expert. Your guide will take you on a journey from the fields and vines to the production rooms and on to the aromatic cellars. 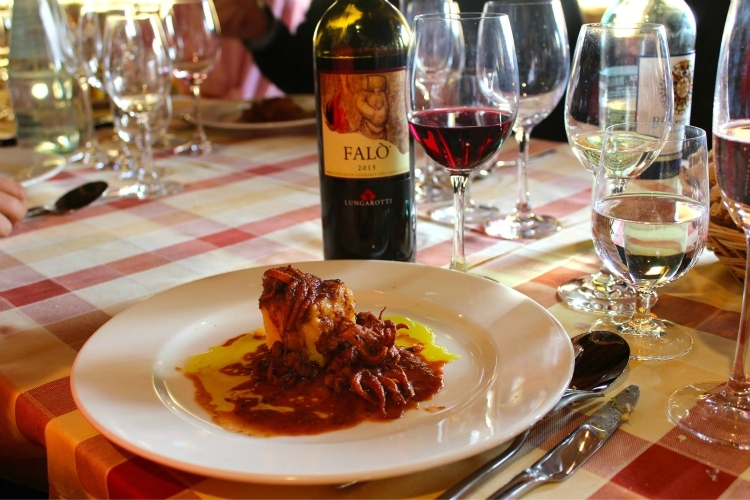 There is, of course, opportunities to put your palate to the test during wine tastings, and the option to enjoy a half- or full-day package which includes a trip to the wine and olive oil museums and a sumptuous slow-cooked lunch. Like a true alchemist, the chef at Enoteca l’Alchimista conjures magic with quality local Umbrian ingredients. Using a combination of simple, yet carefully chosen seasonal flavours and age-old culinary traditions, he creates dishes rich in smell and taste. What appears on the menu is completely ruled by the Umbrian seasons. 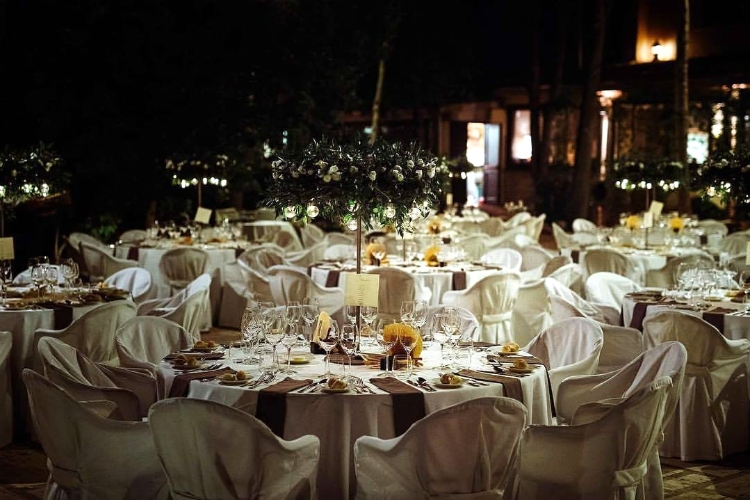 The restaurant, located in Montefalco, is warm and inviting, the perfect place to slowly sip wine, try local specialities and recount the day’s activities. 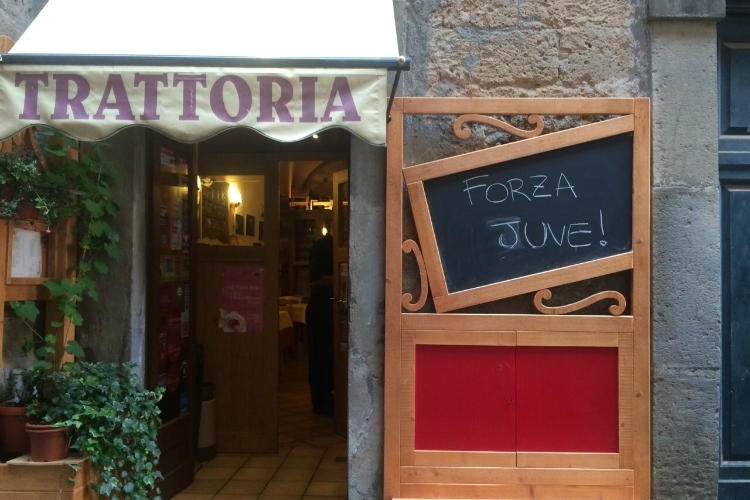 In the centre of buzzing Perugia, located above one of the city’s trendy wine bars, is this funky little osteria. 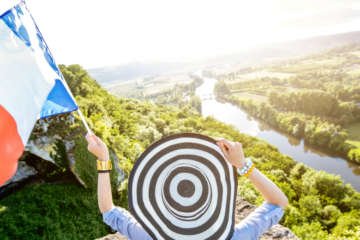 It is the perfect place to spend an evening with friends, nibbling on buttery soft cured meats, the region’s famous truffles, flavourful cheeses and locally grown produce. Wash it all down with a glass of wine from the vineyards just outside of the city. There is also a shop selling the fine ingredients used in the dishes so you can try to replicate them back at home. This sublime restaurant pays homage to the earthy flavours of Umbria. Using only the very freshest ingredients sourced seasonally from local farmers, the kitchen team here create simple dishes, allowing the rich, intense tastes of the produce to shine through. The restaurant’s décor is sophisticated and enticing, and the mood is suave yet cosy. You can dine alfresco on the terrace or in the romantic vaulted dining room. 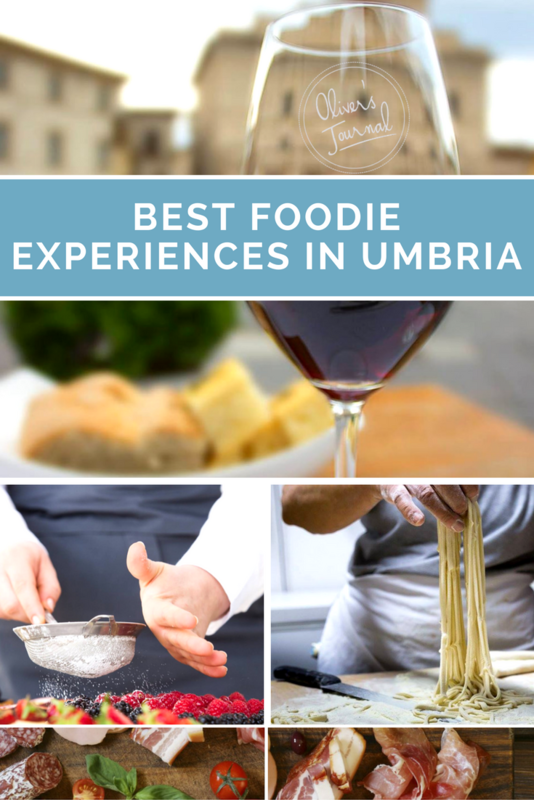 If you’re still deciding if Umbria is the perfect holiday in Italy, have a look at our guide to the best things to do, or get some top tips from a local. 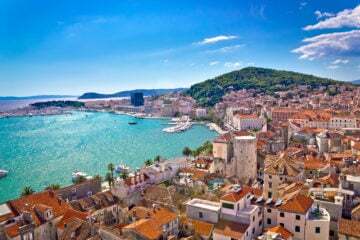 If you’re fully convinced, browse our lovely range of holiday villas, or ask our concierge team for advice.